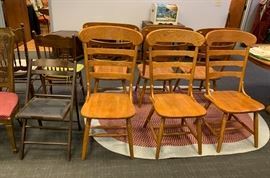 Who May Bid: This is a PUBLIC AUCTION and everyone is invited to register, bid and buy at this auction; there is no cost to register and bid, however all participants must be 18 years of age or older. Registration: All bidders are required to enter a valid credit card to register. We do not keep this information for payment. Please bring your payment with you when you come to pick up your items. No Warranties: All auction properties are sold in “as is, where is” condition. Seller makes no warranty as to the condition or the specific usefulness of any item sold. There are no refunds or exchanges. Buyer’s Premium: A buyer’s premium of thirteen percent (13%)will be added to the high bid to determine the total price to be paid. The full amount of the bid and buyer’s premium must be paid in full immediately after the auction. Inspection: All items should be inspected must be made prior to the auction date. Please do not bid on any property until you have thoroughly inspected the property. Inspection Date(s) are posted on this web page. Payments: You will pay for your items when you pick them up. You may pay with cash, cashier’s check, or credit card. There is a three percent (3%) discount when paying with cash or cashier’s check. 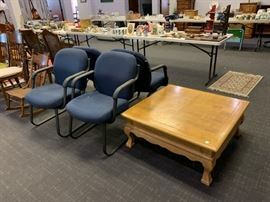 Picking up your item: All items MUST be picked up on the dates and times posted for this auction. If you are unable to pick up your items during these published times, PLEASE DO NOT BID. If you bid and are charged for items that you are the high bidder on and you do not pick them up during the published load out times, you will still be charged for the items. 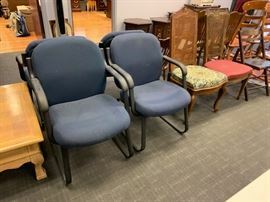 Bidder grants to auctioneer the right to donate any items that have been paid for by bidder but not picked up during the scheduled pick up times to a charity of our choosing. Pick up only the items you purchase: Please treat others as you wish to be treated and DO NOT pick up items that you did not purchase. All violators of this policy will be prosecuted to the full extent of the law if you are caught picking up items that you did not buy. Disclaimer: Announcements made at the auction supersede all printed material. 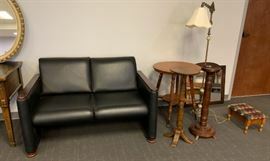 Morris Realty & Auction has attempted to provide accurate descriptions of all items, however, it is the bidder’s responsibility to determine the condition and suitability of each lot. Printed statements or descriptions by Morris Realty & Auction’s staff are provided in good faith and are matters of opinion. All lots sell as is, with all faults. Morris Realty & Auction and the seller do not give or make any type of guarantee or warranty regarding the lots to be sold, implied or otherwise. Technology: Morris Realty & Auction is not responsible for any technical problems that you experience while bidding that are beyond our control such as Internet connection or computer. Sales Tax: No sales tax will be charged for this auction. Debt Collection and Interest Charges: The buyer agrees to pay all reasonable attorney fees and other costs incurred by Morris Realty & Auction in its efforts to collect unpaid funds from the buyer. The buyer agrees that a fee of 2% of the outstanding balance per month be added to any unpaid balance due Morris Realty & Auction. Any debt collection or dispute proceedings will be heard in Shelby County, Tennessee. Bidder Information and Security: All registration information the bidder provides to Morris Realty & Auction shall be current, complete, and accurate. All bidders are responsible for any bids placed under their bidding numbers and passwords. The security of bidder information is the responsibility of the bidder. Bidders must notify Morris Realty & Auction if they believe that their bidder number and password have been compromised. 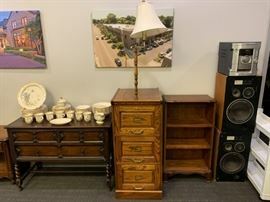 This is a complete estate liquidation. 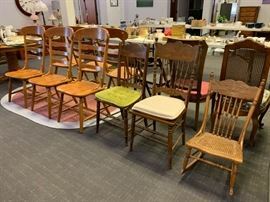 This auction includes: drills, hand tools, yard tools, tool boxes, parts organizers, lawn equipment, outdoor furniture, planters, antique furniture, filing cabinets, end tables, side tables, office chairs, porcelain figures, lots of Christmas decorations, china set, dishes, cookware, and much more!